I joined the Data School to learn the best analytic tools, develop my consulting skill and collaborate with data-driven people. I can emphatically confirm that week 1 did not disappoint – we were immersed in four days of Alteryx training and boy, it has blown me away. Tools, code, RegEx, macros, yet more tools – I feel like my brain is so full of new information and jargon it might pop. However, despite this info overload, my overwhelming feeling is excitement at the opportunity ahead of me. Shepherding us through this steep Alteryx learning curve is the resident Data School coach Pete Goldsworthy. Combining an endless treasure-trove of product knowledge with a supportive coaching approach, Pete has developed us from Alteryx rookies to proficient users. With little coding experience, I have begun learning the language required to unlock the full analytical capabilities of Alteryx, and the accuracy required to produce correct results. Our first week culminated in each of our cohort generating and presenting our own workflow on Friday afternoon to the Data School and MIP community, inciting both nerves and excitement as we guided our audience through our newly created workflows (see a snippet of mine below). Looking back I feel proud of the progress made in the last week. Additionally, I wonder how I ever managed to manage data analysis without Alteryx. Previously I existed in a blissfully ignorant ‘Excel bubble’, spending hours cutting, pasting, trying not to make mistakes and generally wasting time wrangling my data. 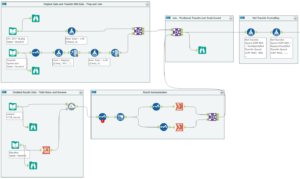 Alteryx’s data cleansing, blending and modification capabilities offer a fundamental shift in the speed, ease, and accuracy of completing these otherwise laborious tasks. Personally, my first week has been challenging, occasionally frustrating, but ultimately hugely rewarding. 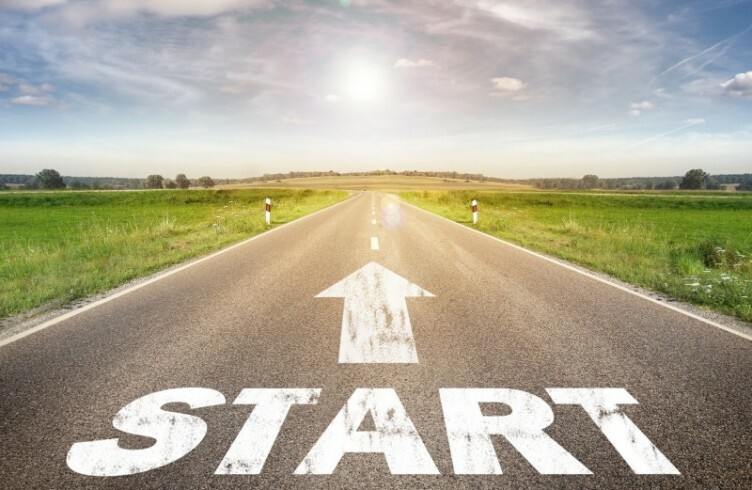 There is a long journey of learning ahead and I cannot wait to learn new Alteryx techniques, dive into Tableau and get stuck into client projects. One thing is for certain – the Data School is living up to my expectations and I am very happy to have joined this data crazy community!